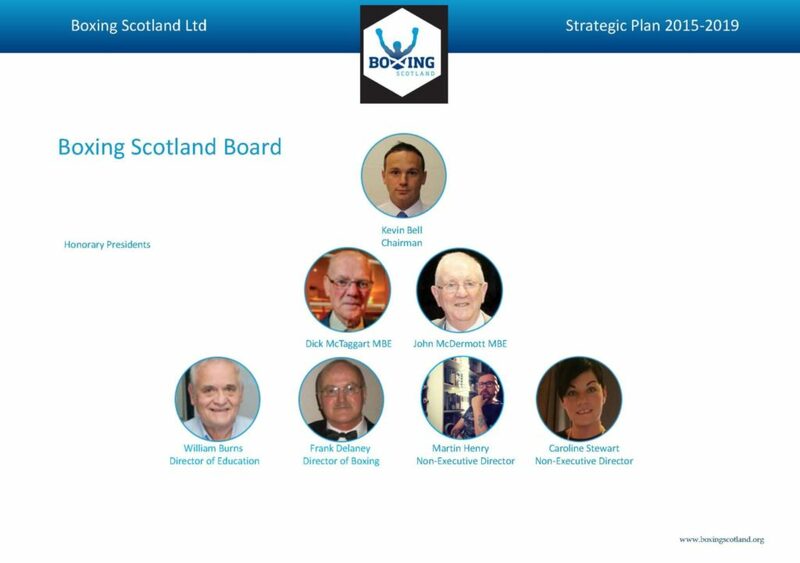 Boxing Scotland’s staff team are supported strategically by a board of six volunteer directors. Drawn from all areas of Boxing, and also from outwith the sport, collectively the Board of Directors have a full understanding of the challenges and opportunities facing the sport and the skills to set a strategic direction for the organisation. The Chief Operating Officer also attends Board meetings along with our sportscotland Partnership Manager. Minutes from each Board meeting are made available on the website (About Us/Board and District Meeting Minutes/Board Meetings) once ratified and can be downloaded.